Penn Yan Aero will arrange for and manage round trip shipping logistics from and to anywhere in the contiguous United States for Penn Yan Aero overhauled engines at no charge to Penn Yan Aero’s customer. Charges not covered by Penn Yan Aero may include: expedited shipments, shipment of an empty crate, and additional carrier services such as lift-gates, inside delivery, etc. For customers outside of the contiguous United States, Penn Yan Aero will arrange for and provide a Bill of Lading for an approved freight carrier's shipping from a near point of United States entry (at Penn Yan Aero’s discretion) to Penn Yan Aero and return to a near point of United States exit (at Penn Yan Aero’s discretion). Additional freight charges not covered by Penn Yan Aero may include export / import charges such as customs, storage, broker fees, duties, surety bonds, terminal charges, customs inspections, expedited shipments, additional carrier services, etc. These additional charges, if any, will be the customer's responsibility. In order to qualify, Penn Yan Aero must manage the shipping logistics; Penn Yan Aero will not reimburse for unauthorized freight charges. The customer is responsible for all other shipping costs for parts, inspection services, warranty, and repair services, etc. 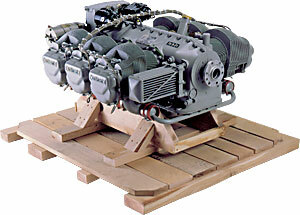 For Lycoming and Continental Factory engines, the customer is responsible for shipping to and from the appropriate factory. Penn Yan Aero will arrange for and provide customers with a shipping quote using our trusted and economical vendors.